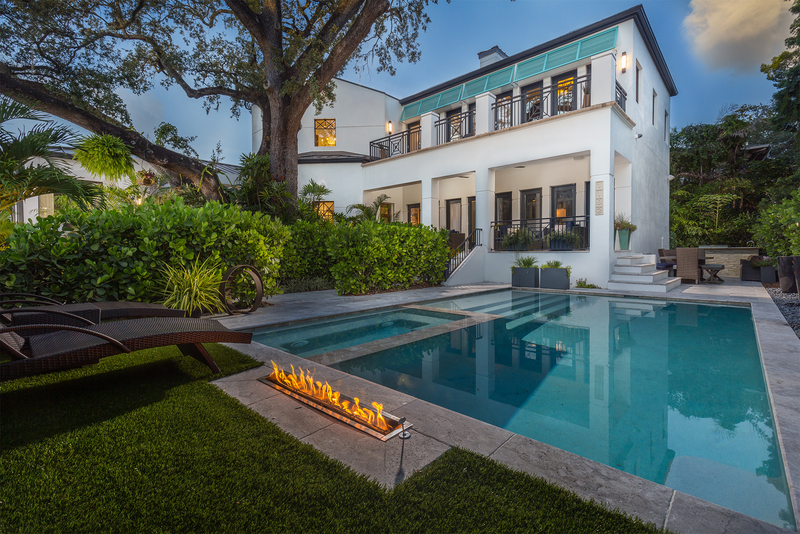 This renovated home in Tampa, Florida has South Beach style. The home is in walking distance to Hyde Park, one home off Bayshore and is a secure mini estate. The home has a two- story foyer with flowing staircase. The home has a modern formal dining room and a two-story living room. The kitchen opens into a large space that is an art lover’s dream. 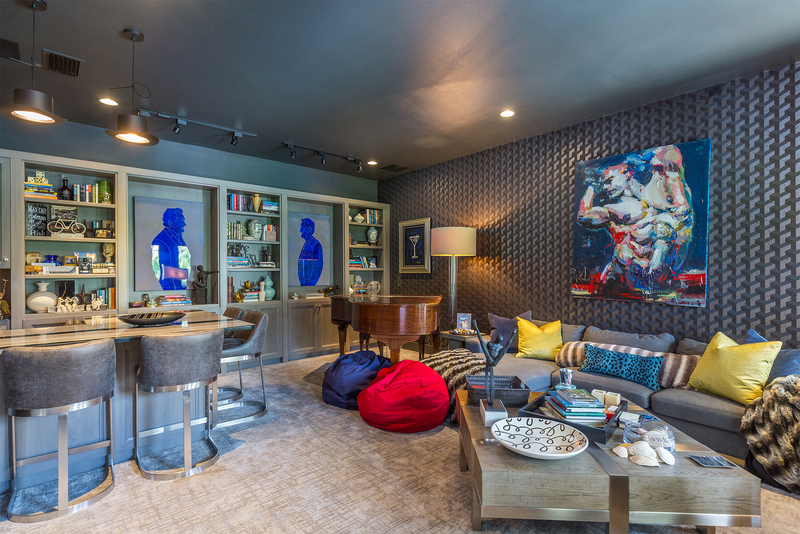 A den is designed for entertaining with a large television, secondary television, wall of bookcases, fireplace, and large wet bar. The yard has a custom-designed pool with integrated spa. The home also includes a stone-walled glass wine cellar with chrome racks and a main level master suite in a private wing with a marble wall backdrop. A secondary entrance opens to a built-in office with hideaway doors, and long hallway for displaying artwork. 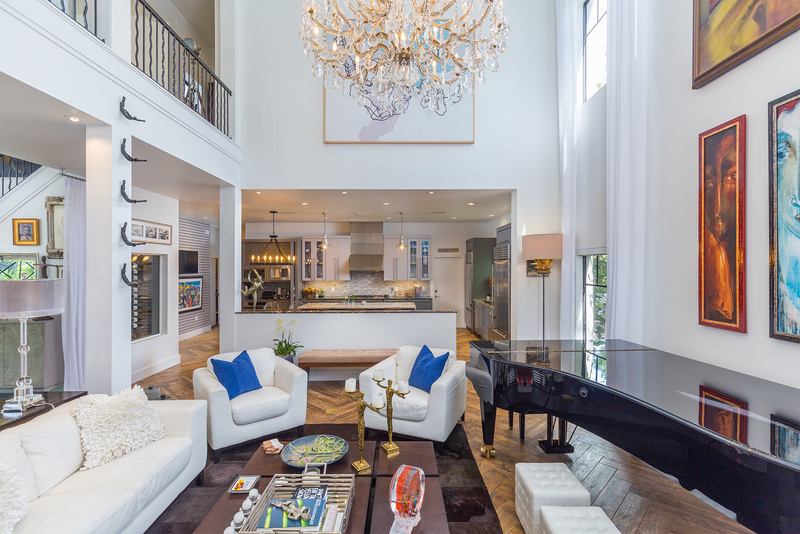 This home is listed for $2.99 million with Smith & Associates Real Estate, an affiliate of Luxury Portfolio International®.